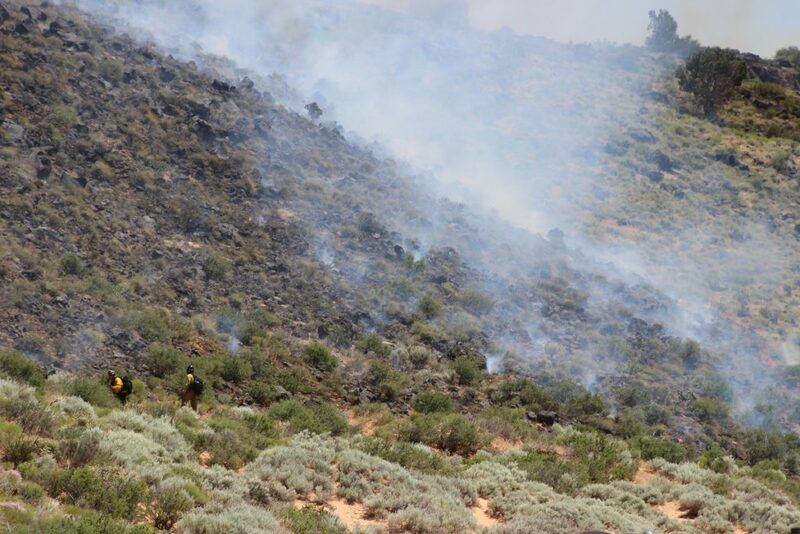 WASHINGTON COUNTY — A brush fire burned through more than 65 acres in just four hours resulting in a collective response from six different fire departments Saturday afternoon. 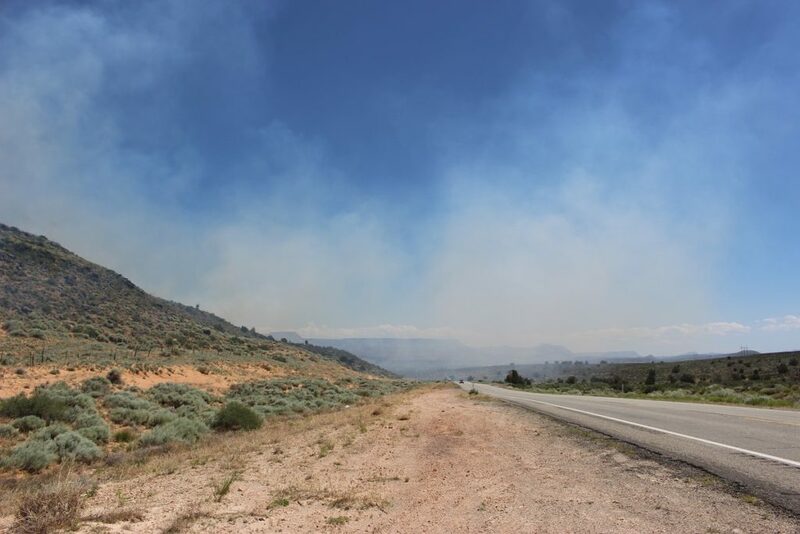 Shortly after 1:30 p.m. a brush fire was reported near state Route 17 at around mile marker 4 approximately 1 mile west of Toquerville, said Mike Melton, fire management officer for the southwest Utah area and state aviation officer for the Utah Division of Forestry, Fire and State Lands. 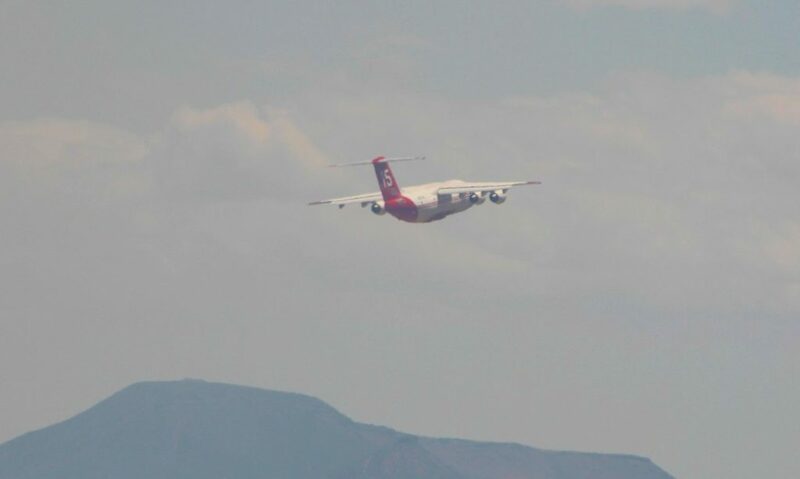 Firefighters from Hurricane Valley Fire District arrived on scene and started fighting the blaze while reinforcements were called in to assist, including fire crews from the Bureau of Land Management’s Color Country Fire District and the Utah Division of Forestry. 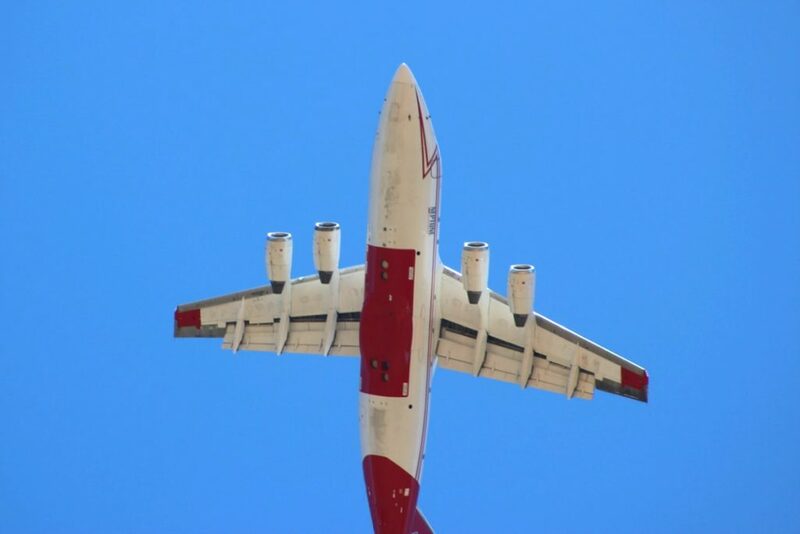 Air support was also called in to assist firefighters on the ground, including an air tanker that dropped fire retardant to prevent the blaze from spreading further. 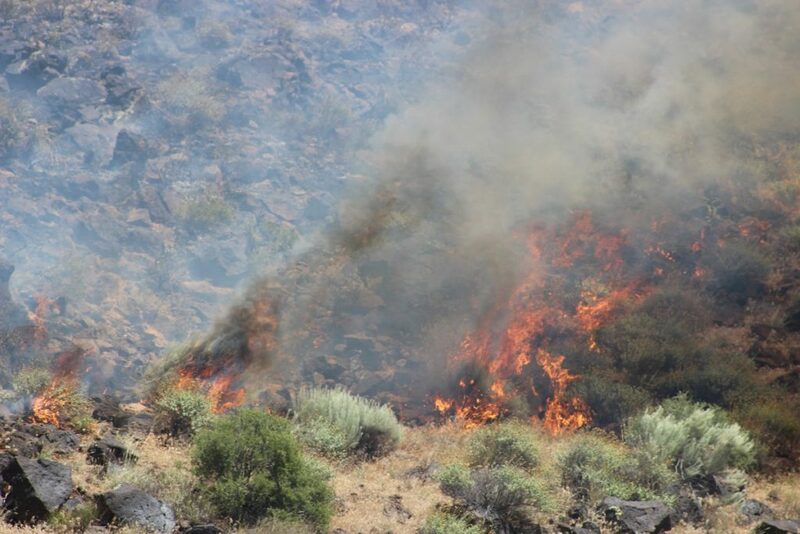 “The origin of this fire is suspicious, but it is still under investigation,” Melton said. 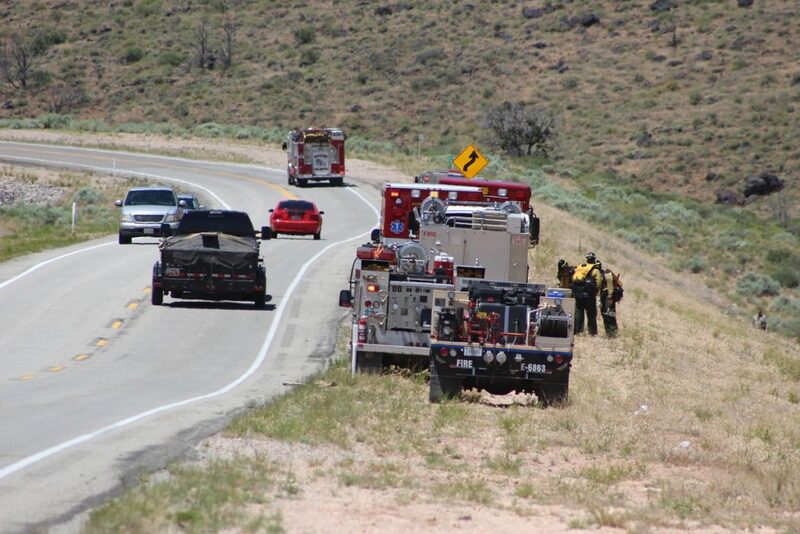 Troopers with the Utah Highway Patrol also assisted at the scene. Corrections? 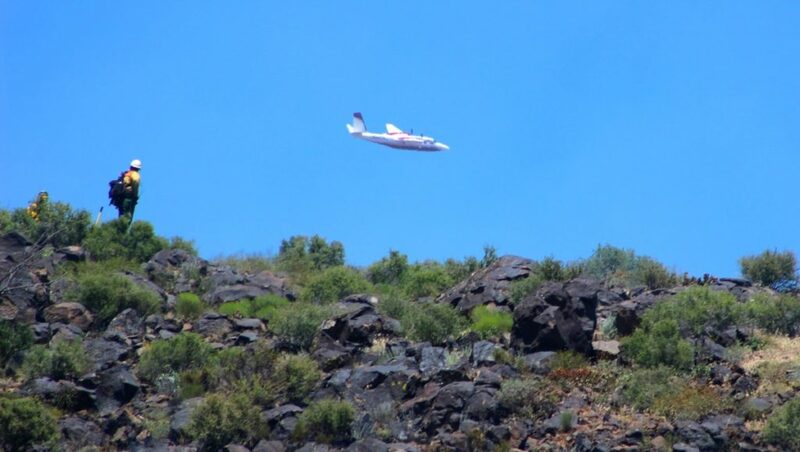 The tanker appears to be a BAe 146, the smaller an Aero Commander, which does not have tanker capabilities. What say you? Thanks for being an active, observant part of St. George News.